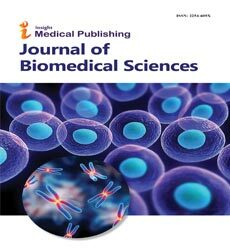 Journal of Biomedical Sciences (ISSN: 2254-609X) is an international open-access, peer reviewed journal which publishes high quality of article and novel research contribution to scientific knowledge. The journal allows to quick and timely review process rapid publication of articles in the broad field of biomedical sciences. The Journal of Biomedical Sciences welcome manuscripts in Biochemistry, Biomedical sciences, Biotechnology, Microbiology, Molecular biology and Genetics. The editorial board of Journal of Biomedical Sciences shall strive to maintain highest standards of quality and ethics in its publication.